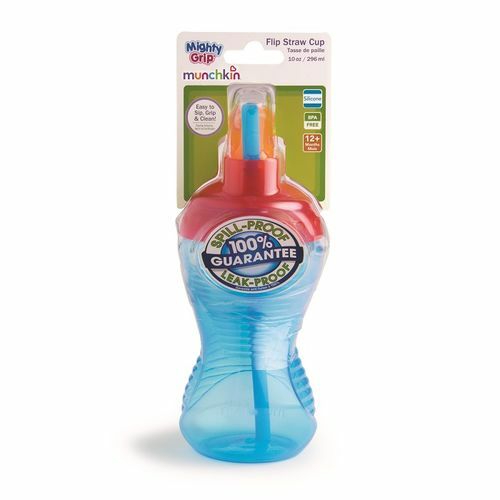 Cups are practically synonymous with leaks, but if stains on the carpet are not your cup of tea, you'll flip over the mighty big idea of Munchkin's Mighty Grip flip straw cups. Smartly designed with ridges and a contoured shape, these innovative toddler cups are leak-resistant and super easy for small hands to grip. Never having to wipe up another puddle in the house, that's surely something you'll flip over.